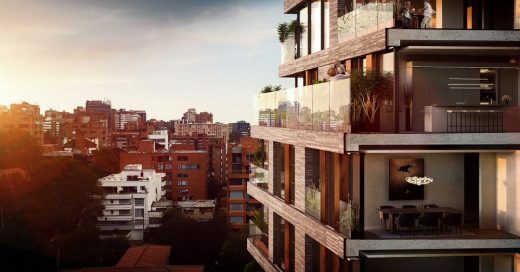 Working in collaboration with local architects and consultants, Bogle Architects has developed an innovative, layered façade system that respects the local context while maximising views across the city. 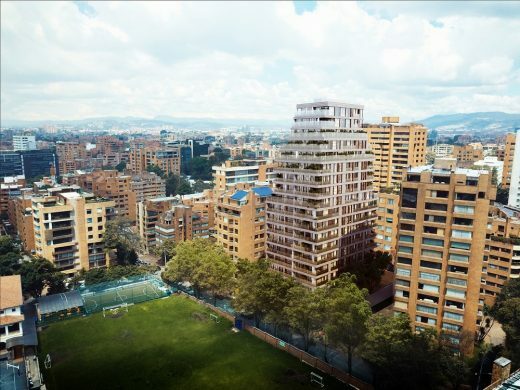 The local climate has allowed for an innovative solution to be developed utilising large glazed panels which are further enlivened by contrasting balconies and terraces of varying sizes, with greenery and vegetation spilling out over terraces and balconies, framing the panoramic views out over the city. This modern reinterpretation of the brick facades creates an exciting counterpoint and introduces a subtle new materiality to the neighbourhood but also absorbs and reflects the local context. The building is currently under construction and is expected to be completed in early Spring 2019.